With all the recent news coverage of the Zika virus and its tragic shadow over the 2016 Olympics in Rio, more Americans today are aware of the role of mosquitoes in spreading disease. 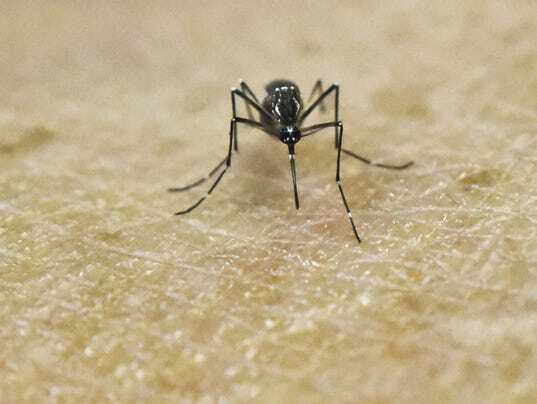 As of this writing, the Centers for Disease Control and Prevention (CDC) has determined that several cases in the U.S. were spread by mosquitoes within the U.S., and they’re warning women of childbearing age in particular to take precautions. Experts are trying to determine whether seniors are at higher risk of complications from the Zika virus. But one thing we know for sure: For seniors, protecting against mosquito bites is still the best way to avoid the West Nile virus, another mosquito-borne illness that’s been around for years. The West Nile virus spreads through the U.S. during summer and into the fall. The CDC says that around 20 percent of people bitten by a West Nile-carrying mosquito will experience symptoms such as fever, head and body aches, nausea and vomiting, swollen glands and a rash. These symptoms might last for a week or so, and are not life threatening. Many people who contract the West Nile virus have no symptoms at all, but can still pass it on if a mosquito that’s bitten them bites someone else. However, a small percent of patients will develop severe illness, including high fever, neck stiffness, stupor, disorientation, coma, tremors, convulsions, muscle weakness, vision loss, numbness and paralysis. Neurological effects may be permanent, and the disease can be fatal. People who develop symptoms of severe West Nile virus should seek medical attention immediately. People older than 65 are most likely to become seriously ill or to die from West Nile. According to Michael Diamond of Washington University in Saint Louis, seniors may have an impaired early immune response that makes their brains more vulnerable to the virus. Prime mosquito-biting hours are usually dusk to dawn. Pay special attention to protection during these hours. Wear long sleeves and pants during these hours, or stay indoors. Reduce the number of mosquitoes around your home. Mosquitoes breed in standing water, so give your yard or balcony a mosquito-proofing inspection once a week. Get rid of containers that aren’t being used, empty water from flower pots, keep gutters clean, change water in bird baths and pet dishes often, and drill holes in tire swings so water can’t collect there. If you have a children’s wading pool, keep it empty and on its side when not in use. Install or repair window and door screens, and make sure they are in good condition. Help older loved ones select a recommended insect repellent and mosquito-proof their yard. If your loved one has symptoms of West Nile disease, contact their healthcare provider right away. Source: IlluminAge AgeWise with information from the Centers for Disease Control and Prevention (CDC).